We define Pragmatic Sustainable Investing as a rational, data-based investment approach to achieve better long-term risk-adjusted investment results through the integration of sustainability considerations, free from ethical ideologies. We don’t exclude sectors for purely ethical reasons but may avoid or disinvest certain industries based on our assessment of material sustainability risks. In terms of risks, we take indemnity risks, policy risks as well as company-specific financial and reputational risks related to environmental, social or governance issues into consideration. An example of policy risks are the expected regulatory measures related to CO2 abatement, which will put a charge on fossile energy reserves and thus lead to the devaluation of fossile energy assets with high CO2 emission and/or high production costs (“stranded assets”). When burned, coal reserves produce twice as much CO2 as natural gas, so the charge put upon coal producing companies will be relatively higher and reduce operating margins significantly. 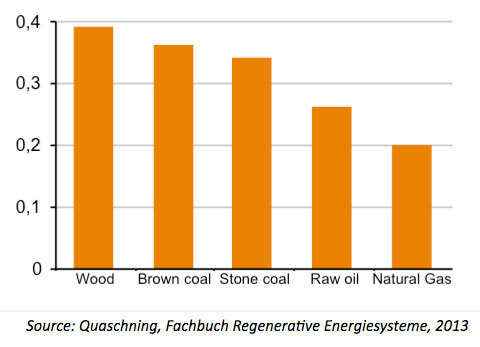 When factoring in market prices we expect energy companies with low CO2-fossile reserves (oil and natural gas) to perform best under such a policy; in addition, renewable energy production would be relatively more attractive. We reflect these sustainability-based considerations and specifically policy risks in our investment decisions related to energy investments.